Starting in 2017, the VA-1 Tourism Summit is embarking on an effort to give back to the regions and communities that help our industry prosper. We believe it is the social responsibility of the tourism industry to ensure our communities are strong and continue to grow. 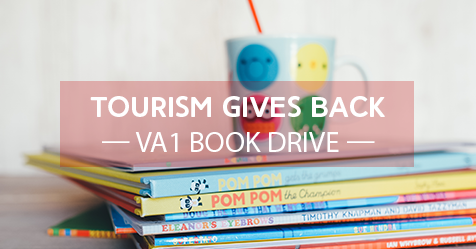 Each year, through VA-1 we will work to find an organization that can benefit from the tourism industry’s support, doing what we can to help these organizations, charities, or programs during the annual fall conference. The Ask: Bring a new or gently used book (or two) to 2017 VA-1 appropriate for K through 5th graders. The Norfolk Police Department has partnered with the Life Enrichment Center, a non-profit organization providing literacy tutoring and more for Norfolk’s underserved elementary school. For the last 2 ½ years, the NPD initiative, named PLUS–Police Leadership Unveils Success, has seen over 50 Norfolk Police officers regularly tutor in these Norfolk elementary schools. Chief L.D. Boone identifies PLUS as the Department’s signature outreach initiative, as it affects Norfolk’s youngest targeting an important life skill. The tutoring also allows the development of trust between officers and students. To help this program succeed, we are asking that attendees bring one or two new or gently used books appropriate for grades K through 5th. The books will be donated to NPD’s PLUS program, where they will be divided and gifted to each of the Title-1 schools where NPD officers tutor.